March 4, 2015 February 17, 2015 / Julie Brook, Esq. It may not be favored by courts or be the parties’ preference, but there’s a place for evidence to be admitted for a limited purpose. It can be seen as either a creative solution to an evidence admissibility problem or a way around the rules, depending on your perspective. Evidence is admitted for a limited purpose when the court admits it for one purpose or against one party but otherwise rules it inadmissible. Evid C §355. Judges are usually disinclined to admit evidence for a limited purpose if there are alternative ways of proving the facts or if the information is irrelevant to the case. as a way to place evidence before the jury on an admissible basis. 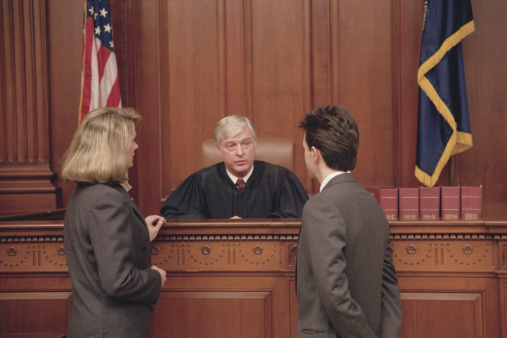 Requests for limited admissibility are sometimes a way around the rules of evidence. For example, if counsel wants the jury to know that repairs to stairs were made after the victim’s fall (inadmissible under Evid C §1151), counsel may argue that the evidence is being offered not to prove negligence but rather to impeach the defendant’s claim that it would have been impossible to build the stairs any other way. It all depends on perspective: If you’re a proponent of evidence, you can use limited admissibility in creative ways; if you oppose the admission of evidence, you can argue that the proponent is making an end run around the rules. When faced with a request that evidence be admitted for a limited purpose, the opponent’s best option is to request a limiting instruction about impermissible uses of evidence. Bullock v Philip Morris USA, Inc. (2008) 159 CA4th 655, 683. But be warned, a limiting instruction may sometimes draw more attention to the evidence than it would otherwise attract. For much more on offering evidence for a limited purpose, turn to CEB’s Effective Introduction of Evidence in California, chap 7. ← Should You Check a Job Applicant’s Social Media Posts?